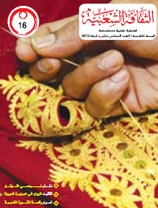 Manama, the necklace of pearls around the neck of the Arab culture, has been named Cultural Capital of the Arab World 2012. Manama has been a genuine cultural city since Bahrain was the capital of the popular arts in the Gulf and Arabian Peninsula. Bahrain’s cultural position has been augmented by the impetus of national efforts to serve culture and arts that began in the early twenties and then continued to play a vital cultural role in mid-seventies of the last century till our days. The recently adopted concept and field of scholarship labelled "national memory (dhâkirat al-'ummah)" may be viewed as an euphemism or a personification of what is remembered of a social group's experiences concerning significant events that affect that group as a whole. The group may be the entire nation, or only a segment of it such as an ethnic, racial or religious category of the population as constituted by its individual members1. The issue is also one of cognitive learning involving such factors as motivation, retention and recall. All of these factors are components of the shared cultural traditions and the "folkloric behavior" of a social group. Although academia provides field researchers with a great deal of support and information - including the results of studies in the humanities – fieldwork is based on factual rather than theoretical findings. Many academic references are general rather than specific to a particular situation. The collective memory has a great interest in beginnings and origins; this interest is made manifest in popular seasonal celebrations, rituals and oral narratives that make reference to the past.This study investigates how origins and beginnings are portrayed in popular narratives, and how origins and beginnings’ functions and meanings relate to collective memory and group identity. The study is based on the ethnographic oral code of the geographical and sociocultural space of Benzerte in the northeast of Tunisia. Medicinal herbs Clinical and chemical studies of groups of medicines, drugs, and pharmaceutical products derived from plants have contributed to the understanding of human history and heritage. And natural products based on extracts from medicinal plants have played a key role in the coexistence of different organisms in nature, leading to the formation of diverse ecosystems. The varied usage of medicinal plants and the effectiveness of medicines derived from plants have helped us to gain an understanding of the nature of human activities and cultures. For example, people who use chamomile to treat snakebites or as an anti-spasmodic are probably nomadic. In this study, we identify the theoretical antecedents and the preliminary steps involved in starting a family in Syria’s Al Jazeera region, specifically the Al Hasakah Governate. East Dumaina is a village in the rural province about 20kms from Homs. According to the mayor, the village’s population was 722 in 1961; in 2006, the village had a population of about 2,702 people. The population of the village is currently increasing at a rate of less than 1%. Ma’luf music, which is at the forefront of musical heritage, is described as conventional, classic or traditional music; this type of music is passed from generation to generation through oral communication. In Tunisia, this genre of music is known as Ma’luf. Egyptian traditional dance reflects multiple aspects of culture, so traditional dance must be evaluated aesthetically and functionally while taking its social role into consideration. Over time, the dance developed into an immense creative heritage that includes ceaseless, coordinated steps. Public baths and their traditions and rituals reflect aspects of Arab-Islamic civilization; this is evidenced by the abundance of public baths in traditional Islamic cities such as Baghdad, which is said to have over 1,500 public baths. Due to the various social and religious roles that the baths played, the ruling authorities thought them important enough to appoint a Muhtasib to each bath to ensure cleanliness and to supervise the bath’s workers and visitors.